Dealing with acne is a matter of trial and error, whether you’re just starting to see the first signs as a teenager, or still have outbreaks as an adult. It’s frustrating, painful, embarrassing and does take some effort to deal with properly. Now, just reading the page title might send alarm bells ringing for a lot of readers. When you think of acid you might easily think of chemicals that will dissolve practically anything. But there are some called Alpha Hydroxy Acids (AHA) that are natural and very commonly encountered in our food. One of these is glycolic acid, which is derived from sugar came. Once refined it works exceptionally well especially when dealing with the after effects of an outbreak. Once you get the pimples under control and the worst of the inflammation has significantly gone down, you’re often left with dark spots. These are almost as embarrassing as the acne itself and can be just as difficult to cover up or get rid of. And that is where AHAs like glycolic acid come into play. Once applied they will help to peel away just the upper most layers of the skin. This encourages new skin cell growth to replace the unsightly spots. On this page you will find the best options on the market to help deal with this once and for all. This post features 10 carefully chosen acne treatments with glycolic acid. When I say carefully, it means that our listing is based on the analysis of over 2370 real user reviews and in depth understanding of the brands behind these products. We’ve only picked the highest rated and most successful products that work best for acne prone skins. If you're in a rush, here's our top pick for the best glycolic acid AHA acne treatment. Doesn’t heavily rely on chemicals. Works for teens and adults alike. There are a few other Alpha Hydroxy Acids other than these, but these are the ones that you will most commonly encounter in your day-to-day life. These are the acids which are most commonly found in the products on this page too. While Alpha Hydroxy Acids can be used for a variety of different purposes, they are most commonly used for dealing with acne. Their main purpose is to help exfoliate the skin. This ensures that the dead skin cells that remain on the surface of the skin are removed. As you may well know, it is these dead skin cells which contribute to blocked pores. It is blocked pores which will lead to a person dealing with acne. In addition to this, there is some evidence that the Alpha Hydroxy Acids can help to rejuvenate the skin. This means that there is a chance that you will end up with smoother looking skin, free of acne scars. However, it must be stressed that this is not something which occurs in all people. If you are dealing with particularly severe acne scars, then this treatment may not help to clear them up and you will need to look into other methods that you can use. It is worth noting that not all cases of acne are going to be cured with Alpha Hydroxy Acids. It is all going to be down to the root cause of the condition. Sure, it should be able to deal with the most severe flare-ups in most people, but it may not completely stop the condition. This means that you will need to find out how to deal with the root cause of your acne. However, at least in the meantime you are not going to have to worry about the acne flare-up being all that bad. 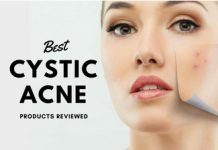 If you have tried other acne treatments on the market and have yet to see any benefit from them, then you really should try out Alpha Hydroxy Acids. They work in more people than it does not. Study after study has demonstrated this. It is worth noting that if you do go down the route of Alpha Hydroxy Acids, which you are advised to do, if you have sensitive skin, then you will need to be very careful. While the acids can have an impact on you, you will want to buy a ‘weaker’ concentration of the mixture. We recommend somewhere between 5% and 7%. 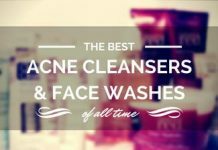 This means that the majority of the acne products that you find on this list are going to be suitable for you. This means that you should have absolutely no issues using them to eliminate your acne. Redness of the skin, particularly areas where the acid has met it. 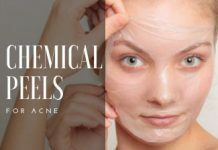 There are side-effects related to taking Alpha Hydroxy Acids orally, but it is very rare that you will need to do that when you are trying to deal with acne. Certainly, none of the products on this page are going to require you to consume them orally, so this is not an issue that you are going to need to worry about too much. As mentioned previously, it is unlikely that any side-effects will occur because of your usage of Alpha Hydroxy Acids. However, here are a few things that you will need to bear in mind. This will just ensure that the risk is kept to an absolute minimum. First and foremost, you should only ever use the product as directed, particularly if there is a concentration of Alpha Hydroxy Acid that is greater than 10%. If you use too much of the product, then the chances of you ending up with skin irritation, or perhaps even worse, will go up drastically. It is worth noting that when you use a product like this, your skin is going to be a lot more vulnerable to the sun. This means that you should always use sunscreen on your skin. It does not matter how cold it is outside, the sun rays could still end up damaging your skin if you are not careful. That being said, a few of the products that you will find on this list will be inside of a sunscreen already, so you do not have to worry about any additional products. If you do notice any side-effects related to your usage of Alpha Hydroxy Acid products, then it is vital that you discontinue using them immediately. There is no getting ‘used’ to this product. If it causes a flare-up right at the start, then things are unlikely to improve. You will not need to see a medical expert unless the symptoms persist which, again, is going to be very rare. 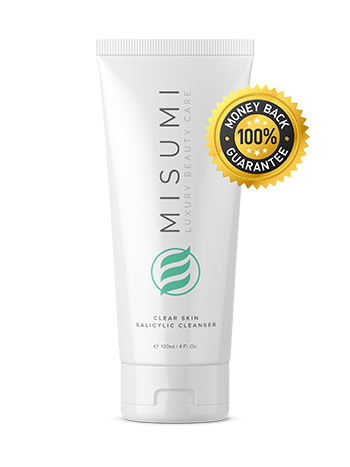 Coming in at Number 1, Misumi’s AHA 10% Skin Perfecting Cleanser helps to remove dead skin cells, excess sebum, and impurities that clog up your pores. This was easily our number one pick after testing every product! It stimulates the growth of new, healthier cells beneath the surface to give you a well-rounded treatment as well as smoother and softer skin. The cleanser focuses on treating as well as healing. It contains a much higher quality concentration of ingredients with rejuvenating and moisturizing properties. Paraben-free. Cruelty-free. No animal testing. A little pricier than competitors (selling at $26.99). Having said that, it does come in a big bottle (6 fl. Oz. ) that will last you 2 to 3 months. If you want one of the cheaper products on the market (that still works! ), then the Biore Blemish Fighting Ice Cleanser is the route to go down. You get three bottles in the pack. All do the same job. It is worth noting that Alpha Hydroxy Acids are kept to the minimum in the Biore Blemish product. Instead, the company goes down the route of a combination of Beta Hydroxy Acids and other ingredients. This means Salicylic Acid. There is one Alpha Hydroxy Acid in this product and it comes in the form of Lauric Acid. Despite being cheaper than many similar products on the market, it works surprisingly well. It is oil-free. This means that it can assist people who have oily skin. 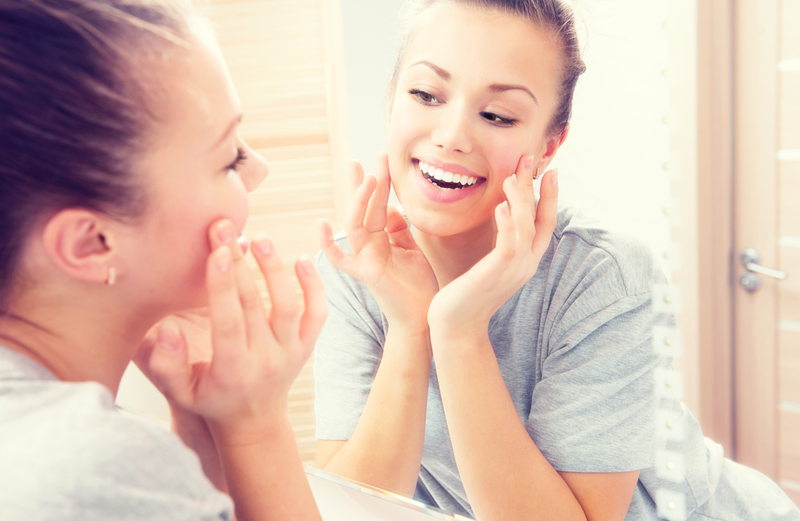 As you may well know, acne is commonly caused by skin which is over oily. This causes the pores to become blocked. It smells great. This may not seem like much of a pro to you, but you will be surprised at how many products of this type tend to have an awful smell to them. Leaves your skin feeling nice and fresh. It rarely irritates people. Some people report that it dries out their skin. You have to realize that the main component in this product is Salicylic Acid. This is not the AHA product to go for if Salicylic Acid has failed for you in the past. With this product you’re going to the get best of both worlds. Although its main active ingredient is salicylic acid, it also contains a generous amount of glycolic acid. Both of these ingredients are well regarded for their pore opening properties. When excess of sebum in your hair follicles is accompanied by a buildup of dead skin cells, dirt and brim, it leads towards bacterial growth; resulting in inflammatory acne such as blackheads, whiteheads, and even cysts. That’s why clearing your pores of all this unwanted debris is of immense importance, and that’s where Exposed Clearing Tonic comes in. Doesn’t heavily rely on chemicals. It has witch hazel (a well regarded skin toner), green tea, passion flower, and sage extracts to give your skin a necessary dab of nourishment. Also helps in clearing acne marks and improving skin complexion. Not as effective as a standalone treatment. It works best when it’s applied before Exposed Clearing Serum before going to bed. Has a strong green tea smell, which you may not like. Doesn’t promise instant results. Should be given a month to give visible results. This is one of the more unique products on this list. This is because it can help to balance out your oily or dry skin. This means that your skin is going to end up looking perfect. It accomplishes this through a combination of acids. Inside, you will find Salicylic Acid, as well as the two AHA; Lactic and Glycolic Acid. Suitable for: all skin types. This is due to the unique way in which it works. It ensures that the skin is perfectly balanced, no matter your skin type. Jojoba Beads, which can be found inside of the product, help to exfoliate your skin gently, while also ensure that the job is done all the way through. Sodium PCA ensures that your skin is going to be smooth and completely hydrated at the end of it. You will start to notice an impact within a couple of washes. Not only will this product help to keep acne at bay, but it can also reduce the flare-ups that you are currently dealing with. Some people are sensitive to the Sodium in the product. People with particularly severe acne flare-ups may not notice any real benefit when they use this product. With this product, you get two bottles. You have your activating gel. This is formed of Lactic and Salicylic Acid. You also have your resurfacing crystals. These are produced using Vitamin C and Peptide. You are meant to use these products in conjunction with one another. The ‘peel’ is very gentle on your skin. Even people with sensitive skin types have noticed that it does not irritate them. Can give your skin a nice and healthy glow. The resurfacing crystals can give your skin the antioxidants that they need to thrive. They encourage a healthy skin cell turnover, which really reduces the chances of your acne flare-ups returning. Due to the unique ingredients found in this product, as well as the fact that it is formed of two bottles, it is one of the more expensive products that you will find on this list. Some people with oily skin have suggested that the product is not effective for them. This product is, mainly, designed for anti-aging. However, many people have used it with great success in order to deal with acne-like symptoms, or at least keeping their acne at bay. It is a two-step process which is very simple to apply. Most people who use this product should notice a benefit in just a few short days. The main benefit of this is that it is not a cream. It is a moist wipe that you apply to your face. The towelette system means that applying the product to your skin is quick and easy. This not only helps to fight acne, but it can also deal with the signs of ageing. This reduces the size of your pores. This means that you will not need to worry about them becoming blocked soon. Some people prefer creams over wet wipes. A small selection of people claim that it dries out their skin. However, the chances of this happening are quite minimal. This eight-ounce bottle of Pixi Glow consists of 5% Glycolic acid. This means that it is one of the strong products that you will find on this list. Most of the ingredients that you find in this product are completely natural. This means that they are taken well by the skin i.e. they are very gentle. This is a daily use product which should really help you with exfoliation. This product is gentle on the skin. Even those with sensitive skin find that it is great for daily use. This means no redness. Helps to not only keep acne at bay, but can also reduce the flare-ups of acne. Has a pleasant scent. Unlike some of the other products out there, it is not going to smell heavily of chemicals. It is not the cheapest product on the market. A small selection of people state that it dries out their skin, although these people are in the minority. The main ingredient in this product is Salicylic Acid, which is a beta hydroxy acid. Combined with AHA which can also be found in here. Together, they will exfoliate your pores and ensure that the acne will not be coming back any time soon. To cap it off, this product is going to be able to smooth out any wrinkles and really help to hydrate your skin. This product has been designed to be used on a daily basis. Drastically reduces the size of your pores. This is incredibly important when you are looking to prevent acne. It is gentle on the skin. In some salicylic acid-containing products, those with sensitive skin report that it causes severe redness. You do not have to worry about that with this product. Gives you a nice even skin tone. This is not a ‘complete’ product. You will need to use it with another cleansing agent. Think of it as more of a ‘perfecting’ cream. Not suitable for the most severe cases of acne. The cleansing pads in this product are soaked in 2.8% Glycolic Acid. This means that it is not the strongest product on the market, but it does mean that it is going to be suitable for those who are suffering from incredibly sensitive skin. The cleansing pads ensure ‘easy application’ of the product. The low amount of glycolic acid means that this product is going to be fine for those with sensitive skin. Also helps to moisturize your skin. Some people are not fans of cleansing pads. 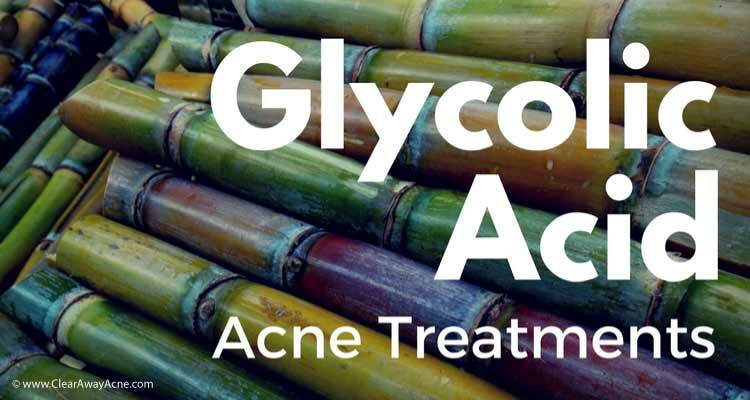 The low amount of glycolic acid means that it may not be suitable for those with the most severe acne. Unlike some of the other products on this list, this one has been designed specifically for dealing with acne. Also, unlike the other products, it is designed to provide a ‘spot treatment’. It is not meant for daily use. Instead, it is meant to provide you with a bit of support whenever you feel as though a bout of acne is on the way. Its active ingredient is Sulphur, which forms 3% of the ingredients. However, there is also Glycolic Acid in there which helps to exfoliate the skin. This is a product which has been specially formulated for dealing with acne. This means, right off of the bat, you can be sure that it is going to be doing a great job. The majority of people who use this product will notice that they are able to keep their acne at bay. Some people do not take well to the Sulphur content in the product. This means that it may not be suitable for everybody. That being said, it is cheap enough for you to try it out. You never know when it is going to provide you with the benefit that you need! This product has been designed to keep acne at bay. While it may be able to deal with minor acne flare-ups, you should really be using it to deal with any small blemishes as they appear. If you want to deal with an acne flare-up that you are in the midst of, this is not the right product for you. This is another product which has been designed specifically for those who are currently dealing with acne. Inside of the kit, you get three bottles. You get a 5.1-ounce bottle of salicylic acid. You get a sunscreen, and you get 1.4 ounces of benzoyl peroxide. They are designed to be used together to give you the best possible acne treatment. Suitable for: all skin types, although sensitive skin people may have some irritation. This is a very effective kit for dealing with acne. Many people will notice that breakouts start to disappear in as little as two days. This is one of only a few products on the market which can help a person when they are in the midst of a flare-up. One of the best exfoliating products on the market. Not only will it is ensure that your pores do not become clogged, your skin will feel great afterwards. One of the cheapest products on this list. Some people with sensitive skin note that this product does cause minor irritation. Some people do not like the ‘three’ step process for dealing with their acne. Inside of this product, you will find salicylic acid and glycolic acid. Together, they will ensure that there is not an excessive buildup of dead skin which can lead to your pores becoming blocked. In addition to this, there is Kola Nut extract which can rejuvenate acne-ridden skin. There is also some Lemon Extract which can help to give you an even tone. Suitable for: Blemish-prone skin types. This is a product which gets to work from the very first application. If you are blemish-prone, then this is a piece of kit that you will want in your arsenal. It will ensure that your blemishes never become anything more than blemishes. Quick and easy to apply. Use it in combination with sunscreen for the maximum impact. Can help to minimize the impact of acne-scars..
Not really for use in dealing with acne-flare-ups. This is more of a ‘preventative’ measure. Some people note that it dries out their skin. Combine it with a good moisturizer and you should not have this problem when you use the product. It’s a pleasure meeting you.Tx for creating this platform for people like us suffering from acne.mine it’s hormonal acne very terrible &hard to find a sunscreen that is anti age.Went through your products I’m afraid I’ve nt seen any here in SA,plz advice where to find them.